The 2019 Sanibel is an aluminum frame comfort bike by Fuji. 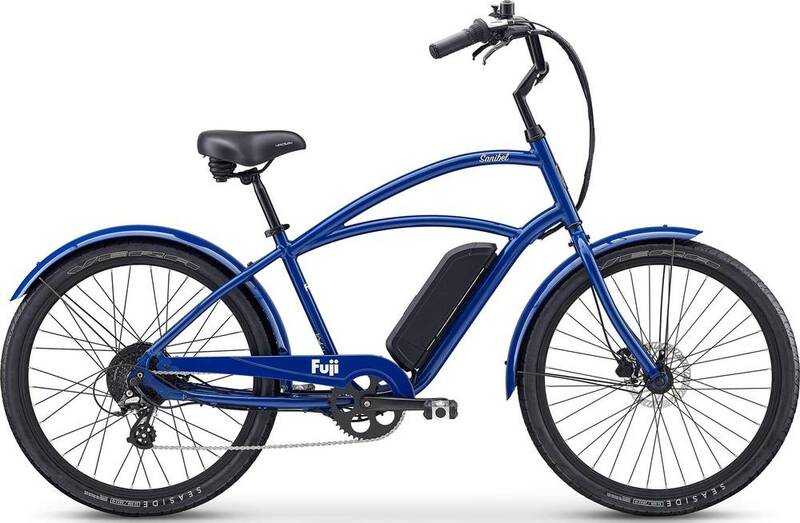 Fuji alloy 6 bolt disc QR front / Bafang - 250W rear motor hub 6 bolt disc QR rear / 13g stainless steel spokes / Fuji 36H Alloy Cruiser rims, 26"
Similar bikes are easier to ride up hills than the 2019 Sanibel. The 2019 Sanibel is geared about the same as similar bikes for riding downhill.